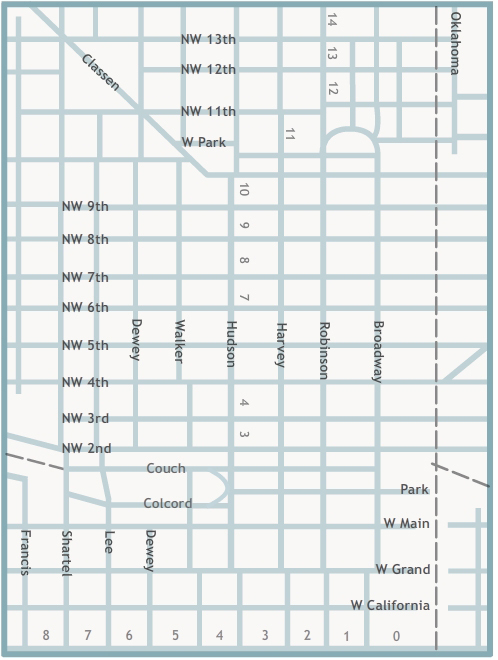 Click points or areas on the map to view historic photographs of downtown Oklahoma City. 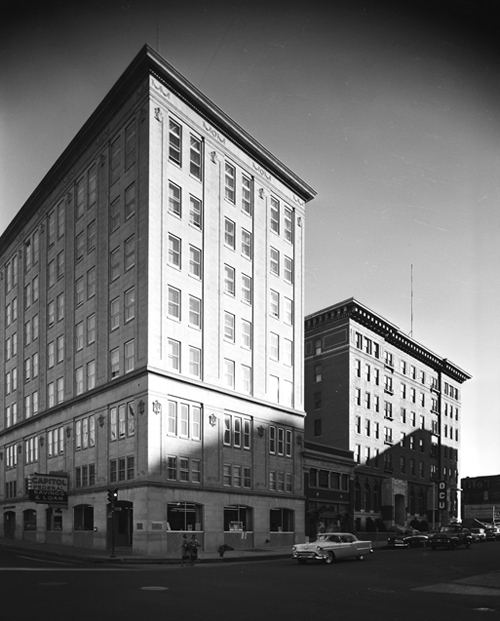 The Z. P. Meyers/Barney Hillerman Photographic Collection includes thousands of images, many of which depict businesses in Oklahoma City. Many photographs in the collection are from the Meyers Photo Shop, which employed Barney Hillerman and other photographers. This map highlights significant buildings in the downtown Oklahoma City area, as well as street and aerial views. The map features images dating from the late 1920s to the 1960s. This project was made possible by a grant from the Pauline Dwyer Macklanburg and Robert A. Macklanburg Jr. Foundation. You can view more images from the Z. P. Meyers/Barney Hillerman Photographic Collection on The Gateway to Oklahoma History. Visit The Gateway to Oklahoma History.